I am mid-way through the Spring season bouncing between four different projects. Each project is very important to me but none is more important than the upcoming “Pathway Project for 2018”. In about six weeks, I will return to Emory & Henry College (E&H) to help welcome the “Pathway Project” students arriving from Copey. We will celebrate our third year anniversary of the “Pathway Project” and I am certain the project will provide another year of wonderful results. The March issue of the E&H College Alumni Magazine covered the “Pathway Project” in wonderful detail. It has a full-page photo of the 2017 “Pathway Project” students from the Copey Learning Center, Fatima and Ariana as it provides a full account of the origin and successes experienced to date. Emory & Henry College student Melody Lipford had spent the previous five weeks volunteering at the Learning Center. She returned home when the Copey Learning Center students traveled to America. She and her mother were also in attendance at last year’s reception when Melody’s mother commented that “a different person [Melody] stepped off that plane from Costa Rica”. There is much evidence regarding people traveling to Copey and returning home “different”. Next week, the campaign will start to help raise the funds to support the Copey group’s air travel and other activities associated with their visit. I am making my special annual appeal to my E&H affiliated “Friends” because we consider E&H College as the destination point for the students to attend the Summer Scholars program. And, all “Friends” are invited to help support this effort. The budget planned for “Pathway Project 2018” is now being finalized and is expected to require close to $6,000.00 to bring our two Copey students and two adult chaperones to our campus. Over two-thirds of the cost is needed to cover air and ground travel. 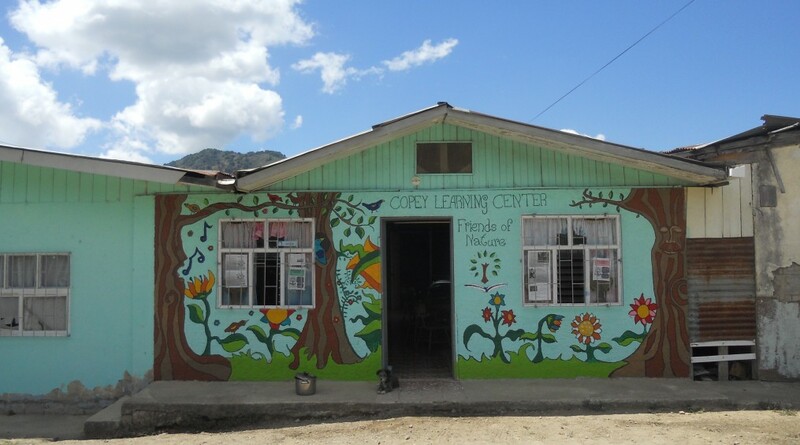 During the short four and half-year history, “Friends of Copey” has an unbelievable track record for achieving goals in support of the mission of the Copey Learning Center. And, the “Pathway Project” has become the signature project for us because its impact is far-reaching and has many enduring qualities. There are E&H students and Copey Learning Center students traveling to and from Copey and from E&H. In addition, the Copey community has fully embraced us as loyal and committed “Friends”. So, join in and be actively involved in the next couple months. If possible, be part of the “Welcome Reception” at George’s home the week our guests arrive at E&H. The Post from last week written by Principal Carolyn Johnson was very well received. Several comments came in expressing views of appreciation and admiration for the work and efforts the Utah Team undertook to support the Copey Learning Center. I personally thank the Utah Team once again for their support and for the wonderful Copey folks for their unique friendship. I am including a few of the comments I received pertaining to the Post. For the next several weeks the “Pathway Project 2018” will be our primary focus. We are moving quickly towards the departure of the two Emory & Henry College students heading to the Copey Learning Center to perform volunteer work. Then, in early June, four Copey Learning Center guests will travel to the USA and the E&H College. We are looking forward to having two very good students who are learning English at the Copey Learning Center, Lourdes and Brian, come to America. This is a thrill for them, their parents, their friends and their community. In all probability, these students would not have the opportunity to travel to America without their accomplishments at the Learning Center and certainly not without the support of “Friends”. Lourdes and Brian will be added to the list of “Pathway Project” students; Noelia, Celeste, Ariana, and Fatima. These past travelers have become excellent representatives and ambassadors at home encouraging students to strive to learn English. All “Friends” living around or near the E&H College campus should get ready for a very nice reception being planned for June 15. It is very seldom when “Friends” gather as a group. Last year’s reception included the gathering of 20-25 guests (“Friends”) to welcome last year’s “Pathway Project” students. This meet and greet event was among the students’ trip highlights. an honor to have their interest and support for the educational and professional future of the Copey students. Each serve as excellent role models for students with educational disadvantages and one or more are seriously inquiring about doing some volunteer work in Copey. I believe anyone of these Deltas would have a significant impact on the lives of students they meet. We thank these Deltas and all the Deltas everywhere for making differences in lives of young folks. When Arthur asked me to write something about our experience at the Copey Learning Center I didn’t know if I could put my feelings into words. I could use words like amazing, unforgettable, memorable, remarkable, and extraordinary, but it was so much more! There are so many people to thank that it’s difficult to know where to start. Nothing would have happened without Arthur’s willingness to share his passion with a stranger on an airplane. As he shared his vision it was evident to Tamarie that this was going to be a wonderful opportunity for Meadow. So, thank you, Arthur for becoming such a force for good. Lisa Watters, Tamarie McMullin, and Debbi Christiansen. They are the planners, schedulers, packers, idea-givers that, said simply, “Love children!” Also, the students at Meadow Elementary for their generosity when it came to bringing in a massive amount of school supplies. Is it any wonder why I love being the principal of such a marvelous school? I have been blessed! I want to thank the people of Copey!! We were showered with love, hugs, food, and much attention. It’s the closest I will ever get to feeling like a dignitary! I know I will forget someone so I will just say, thank you for sharing your homes, food, cars, time and goodness with us. However, the best part was sharing your beautiful children as we worked in the learning center. When all is said and done, after all, it is about the children. They literally have stolen our hearts! But for a moment, picture each of these as a ten-year-old child: Gandhi—shy, unsmiling, awkward; Lincoln—lanky and sober; Mother Teresa—a tiny girl named Agnes from a country many people still can’t find on the map. None was marked by any outward sign of what strength lay within them. Each seemed just an ordinary child. And therein is the wonder: ordinary folk can and do make extraordinary differences. I want to return to Copey, where their needs are great, but love and dedication are not in short supply. They are making such a difference in the lives of each child they teach. Miracles happened on this trip and we felt God’s hand in everything we did. Miracles can happen in your life as well. We are all God’s children journeying together to make our world a better place for those who follow after us, our children, the most precious commodity any nation has.